The classroom teacher identifies the child’s difficulties through classroom observations, past and present records, National Curriculum attainment and information from parents. They will then be able to identify the immediate educational concerns, which will be monitored closely. At pupil progress meetings, the classroom teacher, SENCo and SLT will discuss pupils who are falling behind or making inadequate progress. At this stage appropriate intervention will be planned for and recorded on the class provision map. The parents will be informed of the concerns and whether any further movement through the code of practice is necessary. If the child is not placed on the register, no further actions are necessary. SEN Co-ordinator (Mrs Jones) and class teacher will inform the parents of any concerns and if their child needs to be placed on the SEN register. A parent’s views will be gathered through discussion and the use a parent’s view questionnaire. SEN Co-ordinator then organises any special educational provision necessary and ensures that an Individual Educational plan (IEP) is drawn up which is shared with parents. Parents who have children with EHC plans (statements) are invited to annual review meetings. The class teacher has the overall responsibility for the welfare of the children in their class. They are supported in this role by the senior leadership team and health and social care professionals. Class teachers are supported in the classroom by teaching assistants. Interventions groups and individual support is mapped across the school and appropriate resources are used. The SENCo is responsible for mapping the provision of support with the School Leadership Team. Decisions are based on both data evidence and from talking to everyone involved in teaching a pupil. Decisions will also be based on the advice from any other professionals (outside agencies) who have been working with or assessing a student. The amount of provision is decided in line with the needs of the pupil. Effectiveness of any intervention will be monitored throughout with a full evaluation at the end to ascertain progress towards objectives. All the children with SEN will have access to a broad and balanced education, which includes the National Curriculum. Children with SEN have a variety of different needs and there are a variety of different ways to meet these needs. Differentiation is the responsibility of all teachers. Informed by the data and information on each pupil, teachers plan for and deliver using different styles of teaching and meeting individual needs through a range of strategies. All teachers are responsible to plan, prepare and deliver lessons which are differentiated to the levels pupils are working at using quality first teaching and ensuring that targets are stretching and attainable. Children benefit from the support of Teaching Assistants if they need specific support to access the curriculum. Six members of staff have first aid qualifications. Members of staff are trained annually on administering of epipens and have received asthma training. Epipens and inhalers are kept in the children’s classrooms so that they are easily accessible. The school nurse will work with parents and staff to draw up a care plan for children who have epipens. All teachers have qualified teacher status and teaching assistants have a minimum of a Level 2 qualification. There is an ongoing programme of professional development to ensure teachers and teaching assistants meet the special educational needs of our pupils and stay up to date with current research into teaching and learning. Staff have a range of specialist qualifications either in a curriculum subject area such as art or in an area of special educational needs e.g. dyspraxia, dyslexia and autism. Our school is committed to providing all pupils with equal access to an enriched and extended curriculum. Residential holidays are organised to centres that all pupils have an opportunity to take part. Visits to local theatres, art galleries, historic sites etc. are used to enhance and enrich the curriculum. Visiting artists and theatre companies allow all students access to cultural experiences. A variety of after school clubs cater for a range of interests and abilities and include: street dance, performing arts, wheelchair basketball, and football. 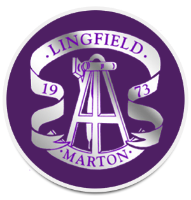 Lingfield Primary School is a single storey building with good access for all. There is disabled parking at the front of school and all visitors are able to access the main reception via an accessible entrance. Apart from one, all classrooms are wheelchair friendly. There is a disabled toilet and changing room. Parents are invited to look around the school and to attend a new parents meeting so we can introduce the team of people who will be working with their child and gather vital information. Children joining our school in the middle of an academic year do so by arrangement with the head teacher. Our website provides lots of useful information. When pupils move onto secondary school, teachers liaise with secondary school staff to ensure all vital information is passed on. The Year 6 pupils take part in induction days at their new secondary school at the end of the summer term. Pupils who need extra support with the transition to secondary school will have additional induction days arranged at the convenience of both schools as well as a key member of staff to support them. Every child receives base funding and a ‘top up’ based on their level of need. There are four levels of need and resources are allocated according to assessed need. Parents are encouraged to support their child’s learning at home. Homework is provided by class teachers. Formal parent’s meetings take place regularly throughout the school year. Parents are welcome to meet with their child class teacher when required at a time that is mutually convenient. Parents are invited to an annual meeting to review their child’s statement/EHC plan and contribute their child’s target setting. Parents are invited into school regularly to share in a range of activities which include; class assemblies, performances and school fairs.